Food access and food insecurity are major problems in Louisville. You can be part of the solution by giving to the Gray Street Farmers Market (GSFM) SNAP Dollar for Dollar Program. According to the USDA’s SNAP data system, there are approximately 130,715 Supplemental Nutrition Assistance Program (SNAP) recipients living in Jefferson County, KY. We are committed to growing the number and impact of SNAP incentive programs in Louisville. With your help, we can make healthy food more affordable and better serve our community for many seasons to come. The Dollar for Dollar program directly benefits local residents. Using the program is simple. Customers visit the GSFM information booth, decide how much they want to spend, and swipe their SNAP cards. The market then matches this amount dollar for dollar and gives them wooden tokens to spend directly with GSFM vendors. We match spending by the SNAP customer up to $20 per week. Households can use Dollar for Dollar to purchase fruits, vegetables, breads, meats, and other food intended to be prepared and eaten at home. Join our efforts to make quality, healthy food more accessible by donating to this program. Your gift will also help decrease chronic diseases by making it more affordable to eat healthy. We want all customers to enjoy the taste and benefits of local, fresh produce. Additionally, all purchases at the Gray Street Farmers Market support farm families, local artisans, and hometown entrepreneurs. Your gift of any amount will make a difference! For more information about the Gray Street Farmers Market, visit the GSFM website or send us an email. To learn more about Louisville's food system, the LMPHW Center for Health Equity uses mapping tools to examine the different ways in which Louisvillians can or cannot access quality foods. 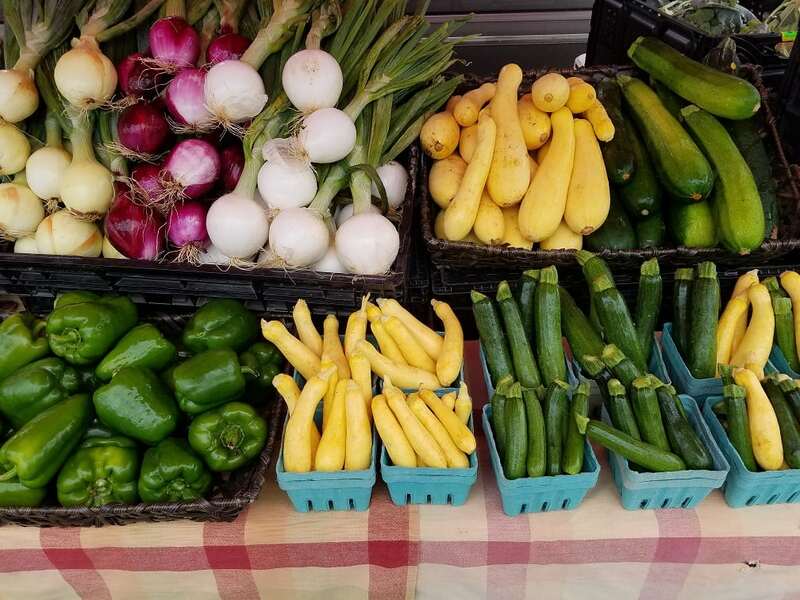 The Gray Street Farmers Market, sponsored by the UofL School of Public Health and Information Sciences and Louisville Metro Department of Public Health and Wellness, is one of only a few daytime, weekday farmers markets held in downtown Louisville. The GSFM is open from 10:30 a.m. to 1:30 p.m. every Thursday from May 27 through Oct. 25, 2018, on the 400 block of E. Gray Street, between S. Preston and S. Jackson streets.